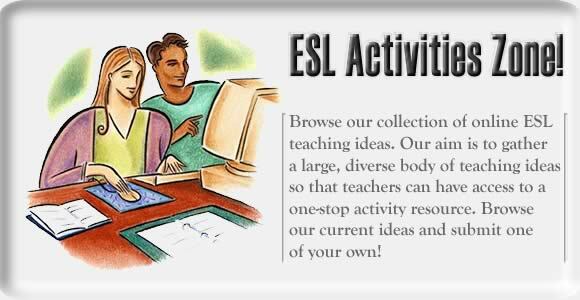 Online ESL Activities - A collection of ESL teaching ideas! Many thanks for using our ideas. If you'd like to offer an idea in return, we'd love to hear about it.